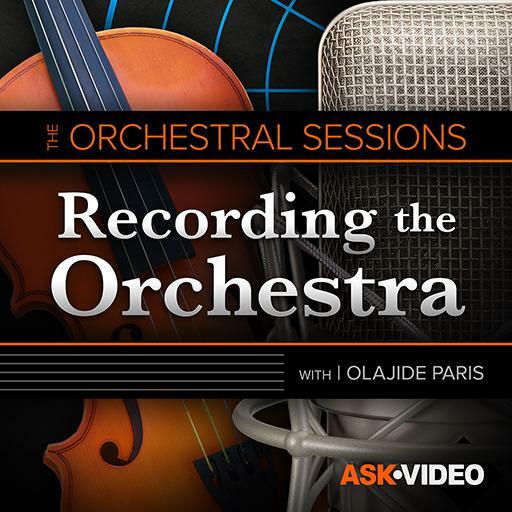 The Orchestral Sessions 104 - Recording the Orchestra. The role of the recording engineer is always handled by one person. Which of the following is not a way of miking the horn section. After working with an orchestra, many composers often prefer to work with samples instead. The repetitive string figure in the orchestra is more dynamic when played by the live orchestra. True or false? What subjects should you study up on after this course? A Decca Tree is created from an array of what kind of mic? Ribbon microphones often have selectable polar patterns. Violins and violas are miked with stereo pairs. Which of the following is not among the more popular room miking systems for orchestra? Large diaphragm condensers are quieter than small diaphragm condensers.